Inspired Locs Is In Jamaica! So much has been happening and I wanted to update you all. First, I've had a bit of technical difficulty such as: spam emails, no internet, slow internet, etc. Third, I will finally be working on the Loc Business online course. I'll have more info on that later. Also, as some of you newsletter subscribers know, I'll be looking for students to "test" the course before it is fully launched. Once again, more about that later. I just want to take the time to encourage those of you who want to open your own Natural Hair Salon Business, or become Locticians. I get tons of questions about the business of Locs or Dreadlocks. There are many of you who feel a pull or calling, if you will, to open a Natural Hair,Health, or Beauty Business. I am truly an entrepreneur at heart. I love starting businesses and I have started several! I also love natural stuff! As an entrepreneur, I get so excited when I hear of others who want to start their own business. I say GO FOR IT! If this is something that you really desire, go after it. Is there a lot to learn? Yes. Is there a cost involved? Yes. Is there risk involved? Yes. We already know this, right? However, there is also great reward, great money, and great satisfaction in realizing your dreams. Don't listen to people who discourage you. Sometimes people give advise from a position of fear. Be around people who encourage you, your ideas and your creativity. Every great thing started from a thought! Do not despise small beginnings. A thought can be powerful when put into action. I know that many of you could use more detailed help in this area. I am seriously considering developing an online course to help set you up for success in the Natural Business (Natural Hair, Health, Beauty). If I do this, I'll need people to test out the course for me and give me feedback so I can make this thing really useful, easy to understand, and propel people into business! If you're interested in a natural business course and want to gain more business knowledge as test student, please let me know. You can email me, post a comment, or post on Facebook "Natural Hair Business". Wow, can you believe that it is 2015 already? Time sure does fly! 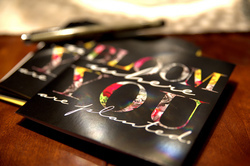 I like this saying "Bloom Where You Are Planted". I want to talk about your loc journey and enjoying your locs. Bloom where you are planted. Have you just started your baby twists? Are you in your second year locked? Wherever you are in your journey, bloom! Enjoy the process and have fun in whatever loc stage you are in. I often have people come up to me and say that they are so anxious to have their hair as long as mine. 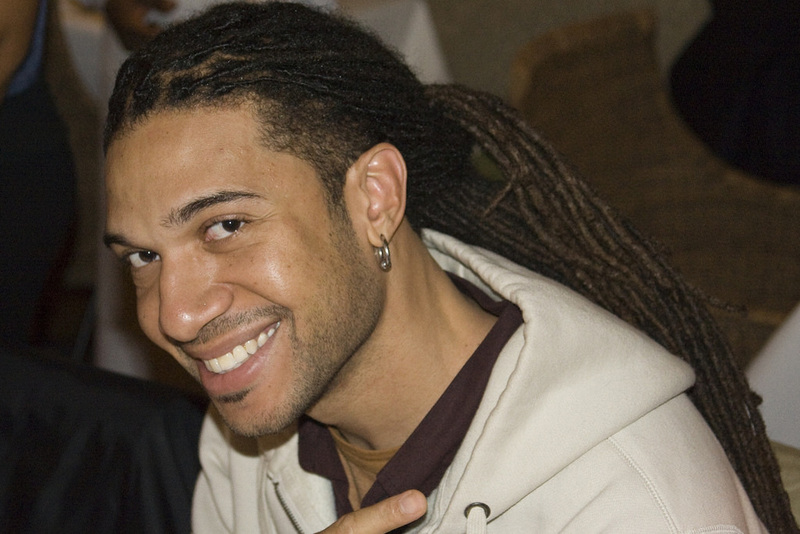 I tell them that I have been locked for quite a while (over 12 years now) and I started my locs with about an inch of hair. I share how I was hooked on relaxers and didn't have the patience to grow out my natural hair. I just kept relaxing the new growth (yeah I had it bad). I finally got fed up and just did the big chop with only an inch or so of new growth. People laugh and ask if I really started with such short hair. Well, ofcourse I did! My advice is to just be patient with your hair and let it "do what it do". It will eventually grow long, it just takes time. Once you stop watching it so closely you will look up one day and your hair will be down your back. I just want to encourage you to love the process. Bloom where you are. Experiment with hairstyles for shorter locs, experiment with wraps and other hair accessories like beads. Take pictures of your journey and as you look back over the earlier photos you'll really see how much your hair has grown! Have fun with your hair in all of it's growth stages. Whatever length you're in, bloom baby bloom! 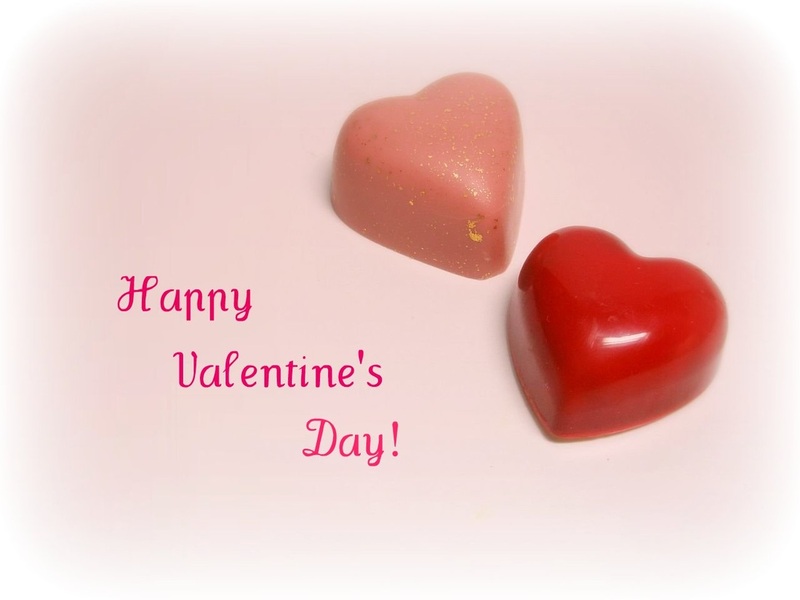 As this day is celebrated with an emphasis on love, it is also a great day to love your hair. If you have new locs that are not mature yet, celebrate your journey. Don't stress over the fuzziness, instead embrace it. 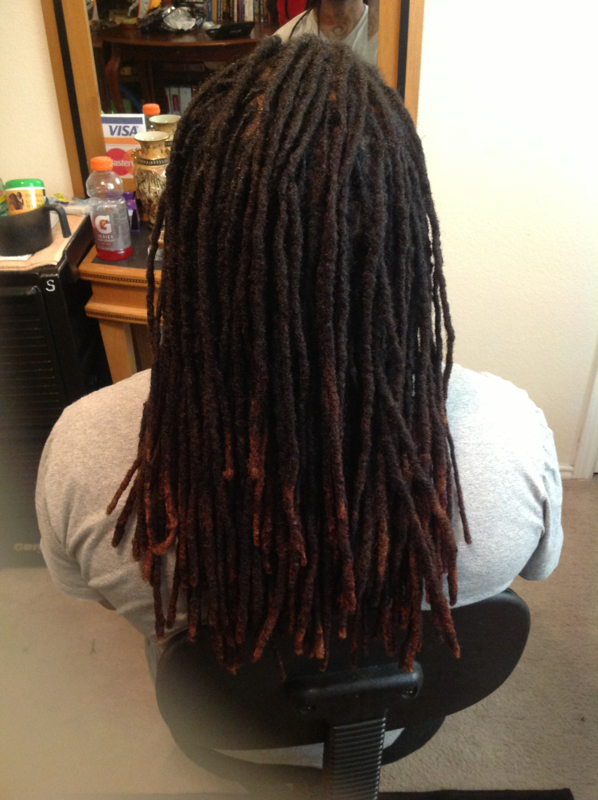 :-) Your hair will eventually loc and tighten up, just give it some time. Love your hair! There is an organization called Project Embrace, located in the UK, that is embarking on a wonderful journey! They are working on establishing billboards that feature natural hair styles. With little girls like Tiana being told that they can&apos;t wear Locs to school, this project is right on time. You can Like their Facebook page here: https://www.facebook.com/ProjectEmbraceUK. Please check out the conceptual video they made showing billboards with beautiful Locs and other African textured hair. You&apos;re in for a treat! Cosmetology schools vary in length depending on the state that you are in. In Texas, the school is 1,500 hours and takes about a year to complete. In the school I currently attend we have 4 half days of what they call "ethnic week". That&apos;s where we are told to do a cornroll, glue a 3 inch track of hair, and do some Bantu knots on a manikin. In the cosmetology school I transferred from, the curriculum was similar. Curly hair is not the priority. So, you will often need to learn how to deal with curly hair care outside of a typical school. If you want to get a license to do braids and Locs you may want to focus on just a braider&apos;s license rather than a full cosmetology license, unless you also want to do chemical processes, skin care and nails. Getting a cosmetology license may not give you more curly hair education than a braider&apos;s license. Whatever you may decide to do, just know what you&apos;re getting. Ask about the specific curriculum. And, go for it! Keep us posted on your education. Please share your personal experience from your various states/countries. I've had lots of questions lately about two areas in particular: Cosmetology itself, and the Salon business. I'll be discussing this info a lot on the Inspired Locs Facebook page, so feel free to meet me there and post your questions so that others can benefit from the answers!!! By the way, for all of you who contact me from the contact page and say the kindest words, I appreciate it. Thank you so much. I'm glad the information on this site helps you. I stay pretty busy, but I want to be able to share helpful info on this site and through the newsletter. I love you all! Love, peace, and hair grease! Let's finish strong this year! This year is coming to a close and a new year is beginning. Although we only have a couple of days left in this year, we still have time to finish this year strong! Let's not wait for the new year to decide what our goals will be, or what we want to accomplish in the upcoming year. Let us finish this year strong. There is still time to map out a plan for your upcoming year. What do you want to start working on next year? What do you want to complete next year? What should you do in this new year that will benefit you and others for years to come? There's still time to plan it out. What have you been always wanting to do, or where have you always wanted to go? Have you always wanted to travel to Africa, or the Caribbean? Now is the time to make a plan to actually go. What are you waiting for? You also still have time to forgive. Is there someone that you need to forgive and just let that thing go? Now is the time. Forgiveness is not for the other person, it is for you. Forgive them today. Have you been thinking of opening your own business? Well, start your planning this year, you still have time. Let the new year arrive finding you with a plan in your hand! You can do it! Let's celebrate New Year's Eve knowing that we are not only going into a new year, but have finished this year strong. Finalize your plans this year, you can always adjust them in the new year, but get them together now. Whatever steps that you can take, take them, so that in this year you will FINISH STRONG! Taking the commercialism out of Christmas. Our family is slowly taking the commercialism out of Christmas. It is a process to break habits that we've had for years. This is our second year cutting down on all of the presents and focusing even more on family. Don't get me wrong, we've always enjoyed spending time together as a family. Our family time in the past, however, had been infiltrated with thousands of dollars of gifts around a tree. Guess who's going to Cosmetology school? Yep, I am. After doing hair, nails and makeup for years, I've decided to spend a year of my life learning the "proper" procedures in this business of beauty. In addition, my hope is to be able to share lots of information with those of you who have questions, but have neither the time, money, or interest in attending a full-blown Cosmetology course.